The re-enactor is Lt. Mark Hanna of the 7th. 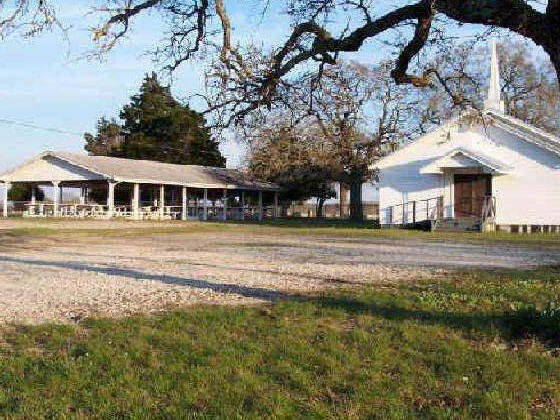 Texas Calvary. The picture is property of Mrs. Cathy H. Moore. We had a wonderful turnout!. 19 soldiers were honored for the civil war. We also have "The Soldiers Story" about the 19 civil war soldiers buried there for the dedication last year, June 3, 2006, this book is $10.00. The Obituary Book for the Heards Prairie-Petteway-Post Oak Cemetery, Robertson County, Texas is $30.00. The book has 133 obituaries at the moment. As I find more or receive any, I will send a copy to those who buy the book to add to their book. All books will have additional postage added. With postage going up, we are asking $5.00 and will include the difference in the package. We who volunteer to do this, are not being paid. We do it for the preservation of those who have gone before us. 1971 W of Willie Albrecht. Willie is buried in South Dakota.No Headstone. Mom to Marcella Albrecht Cude. Living D of Hubert W. and Bauna Vista Rae Brantner. Mom to Ronald K. Mayfield. S of Frank and Ida Ware Aucutt. Ida was the daughter of William Bateman and Martha Ann Hamilton Ware. Sister to Mattie and Mollie Ware Jenkins and Lillie Alice Ware Pool. D of Walter and Bobbie Rogers Lyon. Have Obit. D of A. and J. Martinez Avadondo. No Headstone. W of Robert Lee "Bob" Ayers; M-7-6-1952; Children Melinda, Beverly and Virginia; D of Carl and Hattie Rebecca Jones McLeod. Have Obit. W of Joe Anderson Bailey. M 9-11-1954, Robertson County, Texas. D of Carl and Hattie Rebecca Jones McLeod. H of Elizabeth Ann McLeod; M 9-11-1954, Robertson County, Texas. S of William Edgar and Myrtle B. Anderson Bailey. H of Mary Jane Barclay. Served in the Confederate States War. M 7-28-1842 in Jasper County, Texas. Served in 1st. Regiment, Texas Infantry State Troops. W of David Barclay. M 7-28-1842 in Jasper Co., Texas. Have Confederate Pension Application. D of M and S.A. Barnes: No Headstone. S of Eugene and Mary Jane Josling Bell. Have Obit. U.S. Army, WW II. S of John Rufus and Henrietta "Addie" Andrew Benge. Grandson of Thomas Jefferson and Mary Ann Woods Benge. S of John Rufus and Henrietta "Addie" Andrew Benge. Grandson of Thomas Jefferson and Mary Ann Woods Benge. H of Mary Ann Woods Benge; No Headstone. Have Confederate Pension Application. Born Robertson County, Texas; Died surfside, Texas, not Houston, Texas. D of Johnnie and Orrie Mae Jones Oldham. Have Obit. W of Michael Micajah Petteway, m 5-3-1898 in McLennan County, Texas. 2. W of James Cole Bodiford. D of Augine R. and Jean Marie Bibes. Her parents are buried at the Calvert Cemetery. Have Confederate Pension Application. W of Hubert W. Brantner. Have Obit. D of David and Olah McAllister Rae. H of Doris Porter Brantner; S of Horace Shay and Mabrey Elizabeth Petteway Brantner. W of 1. Guy Allen 2. Clyde W. Brantner. Have Obit. D of Claude and Della Cunningham. H of Cleo Mae Cunninghan Allen Brantner. S of John Luther and Nora Lloyd Brantner. W. of Charles M. Brantner. D of Elbert & Oma Porter. Have Obit. W of Roy Leslie Brantner, Sr. D of Samuel and Mary Jane Quick Hall. H of Mabrey Elizabeth Petteway. M 7-25-1910. S of John Mathious and Margaret Jane Johnson Brantner. H of Bauna Vista Rae Brantner. S of Horace Shay and Mabrey Elizabeth Petteway Brantner. H of Nora Lloyd Brantner. S of John Mathious and Margaret Jane Johnson Brantner. H of Margaret J. Johnson Brantner. 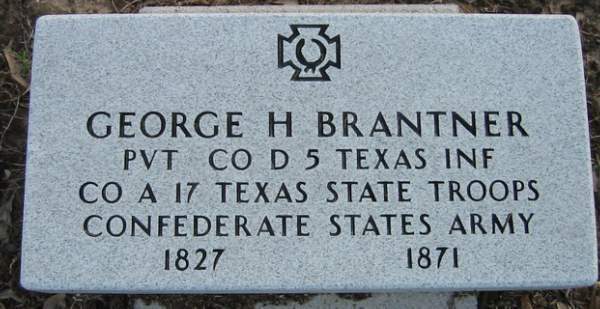 S of George H. and Susannah Lambkin Brantner, Jr. Married 1-28-1869, Montgomery County, Texas. H of Orrie M. Rogers Brantner. Orrie is buried in the Bremond Cemetery. Son of John Mathious and Margaret Jane Johnson Brantner. W of Horace S. Brantner. Married 7-25-1910. Have Obit. Daughter of Peyton William and Nancy Emma Pool Petteway, Sr.
W of John Mathious Brantner, M 1-28-1869, Montgomery County, Texas. Gravestone has the letter V instead of J. D of William W. and Luraine Parker Johnson. D of Roy Leslie and Florence Hall Brantner, Sr.
H of Letha Mae Richardson. S of Roy Sr. and Florence Brantner. Have Obit. W of John Luther Brantner. Mother to Clyde Brantner and Sybel Brantner Mitchell. Have Obit. D of Edward Webster and Emma Lloyd. S of John M. and Margaret J. Johnson Brantner. H of Christelle Slaughter Brantner. S of Horace S. and Mabrey Elizabeth Petteway Brantner. Have Obit. H of Ruth Bernice Cooper Brantner. H of Margaret Clough Brantner. S of Roy Leslie and Florence Hall Brantner, Sr. S1, US Navy, WW II. H of Florence Hall Brantner. S of John Mathious and Margaret Jane Johnson Brantner. W of Reese Arnold "Blues" Brantner. H of Laura Mae Hand Brown. S of Lafayette and Jessie Parish Brown. D of John and Rosie Soto Cabos. No Headstone. W of John Cabos; No Headstone; Mother to Jannie Cabos. W of William "Will" D. Carr. D of Dr. Jesse and Mary Pyror Maxwell. H of Minnie Mae Maxwell Carr. S of David and Beckie Hays Carr. H of Nora Manior Causey. S of J.T. and Miss (?) Snipes Causey. S of John Thomas and Nora Manior Causey. W of John Thomas Causey. Sister to Corrie Mainer Gorman. Have Obit. H of Mary J. Long Clark. Married 12-20-1957. S of Jessie and Linnie Elizabeth Snyder Clark. E.J. first name is initals only. H of Mary Alice Powell Clark. W of George Norman Clark; D of Vincent and Ora Belcher Wood Powell. W of E.J. Clark. D of Gentry Luther and Etherell Mae Kirk Long. D of Alvin L. and Larue Jackson Comer. Susana Loraine Brantner Mar 01 1876 Nov 12, 1969 W of John T. Comer. D of John Mathious and Margaret Jane Johnson Brantner. W of Willie Calvin Cooper. D of Mack Robert and Eula Forson McKinney. H of Clara McKinney Cooper. S of Henry Tilton and Willie Mae Redden Cooper. S of Emmett and Miss (?) Parkes Coursey. Uncle to Alonzo Watson. H of Wilson Clyde Rice Creel. Sherley Dexter is the Father and his wife is Wilson Clyde Rice Creel. W of Sherley Dexter Creel. This is not a mistake in gender. W of Herman Holland Cude; D of Willie and Lorena Mayfield Albrecht. Have Obit. W of Dorman M. Farmer. D of Roy Leslie and Florence Jane Brantner, Sr.
D of Mack Hearne and Valera "Babe" Hughes Forson. Real name: Martha Paralee Williams; 2nd. W of W.N. Forson; D of Martha Gibson Williams: grand daughter to Uriah Gibson. H of 1) Mattie Hart Forson and 2) Martha Paralee Williams Forson. H of Eliza Garner. Have Confederate Pension Application. H of Louisa A. Sweat Gibson. Died in Limestone County, Texas. Married 1-13-1869 in Madison County, Texas. Have Confederate Pension Application of wife Louisa A. Sweat Gibson. Louisa A. Sweat Gibson died 3-11-1926 in Groesbeck, Limestone County, Texas. W of Tom Gorman. Mother of R.T. "Baby" Gorman. S of Willie Ernest and Gertrude Opal Hammond. Served in Viet Nam War. Died in Viet Nam. Have Obit. W of Willie Ernest Hammond. D of Mack and Eula Forson McKinney. Have Obit. H of Gertrude Opal McKinney. S of Tobe and Belma Rushing Hammond. W of J.M. Hand c: John Seaton, George W., Walter A., W.H. Hand. 2nd. W of John Seaton Hand: C-John Sam Hand, 9-17-1919; Betty Hand, 6-21-1921; Ruby Hand Oldham 1-13-1924. 1st. W of John Seaton Hand, No children. S of George W. and Emma Ophelia Oldham Hand. W of George W. Hand; Have Obit. H of Emma O. Hand; S of J.M. & Belle McClure Hand. H of Bell McClure Hand. S of George W. and Emma Hand. Died under a train. H of Mattie Thompson Hand. S of John M. and Bell McClure Hand. W of John D. Harrison; D of Allen W. and Martha Ophelia "Mattie" Ware Jenkins. W of Herschel O. Hart. D of Sherley Dexter and Wilson Clyde Rice Creel. S.Sgt. US Air Force, Viet Nam. Have Obit. W of Uptoon L. Henderson. D of Frederick Marshall and Josephine Adnrus Jones. W of William T. Henderson. D of Frederick Marshall and Josephine Andrus Jones. No Headstone. Info from funeral records. H of Ellie O. Jones Henderson. S of William T. and Annie Blackwell Henderson. H of Myrtle V. Jones Henderson. S of William T. and Annie Blackwell Henderson. H of Ida Lucinda Pettteway Hodges; Have Obit. W of Rev. A.G. Hope. D of Ed and Emily Milan Polk. Pvt Co. H 2 Regt Tx Inf Conf States Army. Have confederate Pension Application. Born in Sussex County, Delaware. W of Bruce Hughes; D of Mack and Eula Forson McKinney. Twin of Eldred McKinney. W of Walter D. Hughes. D of Issac West. H of Vernese White Jackson; S of Jim and Della Jackson. H of Della D. Sharp. S of W.H. and Joanna Guy Jackson. W of Berry W. Jackson. Have Obit. D of R.H. and Minnie Brantner White Jones. H of 1. Mary Jane "Mollie" Ware Jenkins. 2. Martha Ophelia "Mattie" Ware Jenkins. Mary and Martha are the daughters of William Bateman and Martha Ann Hamilton Ware. 3. Mrs. Annie Carter Jenkins, buried at the West Boone Prairie, 1859-1915. S of Owen and Adaline Mann Jenkins. H of Virgie Lee Green. S of Allen Walter and Martha Ophelia "Mattie" Ware Jenkins. H of 1. Ellen Nora Johnson Jenkins 2. Mary Manor McClellan Jenkins 3. Mary Elizabeth Williams Lummus Jenkins. S of Owen and Adaline Mann Jenkins. Have Obit. W of 1. John Allen Lummus 2. John Robert Jenkins. Buried with John Lummus. D of W.J. and Louise J. Berkley Williams. Real name; Martha Ophelia "Mattie" Ware Jenkins. 2nd. W of Allen W. Jenkins. Sister to Mary Jane "Mollie" Ware Jenkins and Lydia Idelia "Ida" Ware Arcutt. D of William Bateman and Martha Ann Hamilton Ware. Real name: Mary Jane "Mollie" Ware Jenkins. 1st. W of Allen W. Jenkins. M 2-4-1876 in Robertson County, Texas. Sister to Martha Ophelia "Mattie" Jenkins, Lydia Idelia "Ida" Ware Arcutt, and Lillie Alice Ware Pool. W of Jack W. Jett. M 3-26-1938, Franklin, Texas. D of Robert L. "Bob" and Ruby Gertrude Smith Stanford. H of Eula Mae Terrell Jett. S of Jack and Marie Stanford Jett. PFC US Army, Viet Nam. Have Funeral Program. W of William Wilburn Johnson. Have a Confederate Pension Application. H of Luraine Parker Johnson. S of William and Mary Shye Johnson. Have Confederate Pension Application. H of Patricia Linley Williams; m 2-17-1968; S of Tom and Annie Mae Smith Jones. Have obit. W of Peter Frederick Jones. D of George and Mary Frances Farris Broach. Harmon has 2 markers, one with a verse, one without. The headstone that has no verse is the one that was used for his grandmother, Mrs. Jane Catherine Harwell Walker and her grave is next Calton Walker. The marker order for Harmon, who died at the age of 10 from burns, arrived without the verse, so the second marker was made for him. When his grandmother died, money was scarce and the family "temporarily" used Harmon's extra marker for Jane. It has remained like this for nearly 100 years. H of Agnes "Aggie" Bush. S of Peter Frederick and Ellie Price Broach Jones. W of Rev. Fred M. Jones. D of Joseph and Sally Hollingsworth Andrus. Have Obit. W of Hardy Jones; D of Calton and Jane Catherine Harwell Walker. S of Hardy and Laura Madella Walker Jones. D of W.C. Jones and Mary Imogene Jenkins Jones. Her parents are buried at Brookside Cemetery, Houston, Harris County, Texas. W of 1. R.H. White 2.) Rev. Alex E. Jones. D of John Mathious and Margaret Jane Johnson Brantner. Have Obit. H of Ellie Price Broach. S of Issac John and Mary Polly Burns Jones. H of 1. Ida Mae Joyce Jones. She is buried in the Franklin Cemetery. 2. Emma Louvenie Brantner Oldham Jones. 3. Minnie E. Brantner White Jones. S of Peter Frederick and Ellie Price Broach Jones. H of Josephine B. Andrus Jones. S of Peter Frederick and Ellie Price Broach Jones. H of Laura Dale Jenkins Jones: Have Funeral Program. S of Rev. Alex Edgar and Emma Louvenia Brantner Oldham Jones. H of Annie Mae Smith Jones: Have Obit. S of Charles Thomas and Hattie Rogers Jones. Never married. H of Myrtle Hope Jones. Have Obit. S of Hardy and Laura Madella Walker Jones. Children of Solon and Edna Mckinney Lauderdale. W of 1. Clarence Petteway 2. Bennie Oldham 3. Thomas Lee 4. Cleburn Hogue. Cleburn is buried at the Dallenger Cemetery next to his mother. 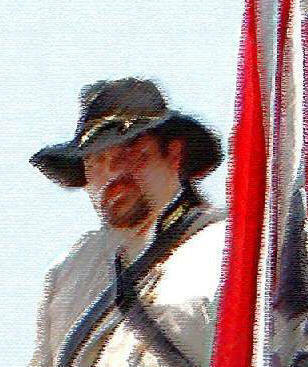 H of Jonnie C. McKinney Petteway Lee Hogue. -Texas PFC Tech Service Unit WWII. Texas SP4 U.S. Navy; S of Peter Frederick and Olga Fields Lee: Have Obit. Cousin to Elizabeth Balsora "Ballie" Vernon Rogers. She lived with her cousins family. S of Donald Earl and Billie Jean Brantner Mayfield. Donald is buried at Brookside Cemetery, Houston, Texas. W of James T. McKinney; M 11-9-1905, Robertson County, Texas. D of William N. and Mattie Hart Forson. S of Willie Erma McKinney. F to Johnnie and Anthony McKinney. Gift Stone from Hattie Hughes. F to Mack Robert McKinney. W of Mildred McKinney. S of Mack and Eula Forson McKinney. Have Obit. W of Mack R. McKinney. M 7-14-1904. D of William N. and Mattie Hart Forson. Have obit. W of John J. McKinney; M 10-30-1906. Have obit. D of William N. and Mattie Hart Forson. H of Fannie B. McKinney. S of Dave and Mattie Stewart McKinney. H of Diane McKinney. S of Alfred Lee and Mary McKinney. Have Obit. H of Eula Forson McKinney. S of Dave M. and Mattie Stewart McKinney. D of George and Mary Thomas. Have Obit. W of Carl McLeod, Born 8-11-1899, Died 5-26-1983. Carl is buried in the Henry Prairie Cemetery, Robertson County, Texas. Carl is the son of Daniel Milton and Elizabeth Texana Bishop McLeod. D of Charles Thomas and Hattie Rogers Jones. H of Mary J. Meggs. Served in the Cicil War. Have Confederate Pension Application. H of Joanna Hackel Mitchell; S of Syble Ree Brantner and Willie T. Mitchell. 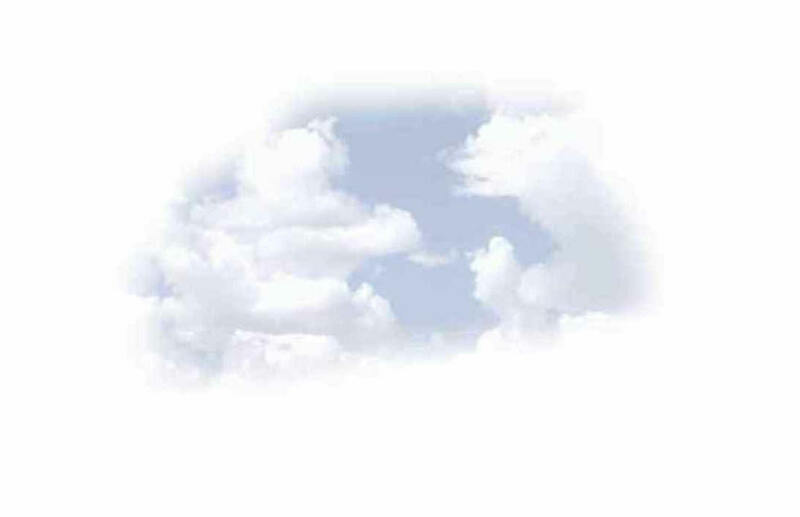 W of Jerry Wayne Mitchell; M 6-16-1956; Have Obit. H of Syble Rea Brantner Mitchell. S of Ben and Lizzie Smith Mitchell. H of Viola Morehead; S of Henry and Alice Roe Morehead. H of 1. Sedora A. Jackson Morehead 2. Laura Williams Blount Morehead, buried in White Rock Cemetery. S of W.L. and Miss (?) Whitehead Morehead. W of Edgar Oldham. D of Arthur and Eunice Bates. H of Emily A. Durham Oldham. Have Confederate Pension Application, enlisted 1862 Miss. Vaden's Artillery, Co. L., 1st. Miss Light Artillery. S of Johnnie and Orrie Mae Jones Oldham. H of Pallie Alma Poole Oldham. S of Benjamin F. and Emily A. Durham Oldham. H of Emma Louvenia "Vennie" Brantner Oldham Jones. S of Benjamin F. and Emily A. Durham Oldham. W of Benjamine F Oldham. Have Confederate Pension Application. Born in Attala County, Miss. Married 12-13-1856 in Attala County, Miss. H of Ola L. Brantner Oldham; M 1-29-1903; S of Benjamin Franklin and Emily A. Durham Oldham. H of Ruby Hand Oldham; M 10-21-1948. US Air Force WWII; S of Calvin and Pallie Alma Poole Oldham. H of Orrie Mae Jones Oldham. D of Calvin and Pallie Alma Poole Oldham. H of 1. Lorena McKinney 2. Margaret Carnagee. S of Otis troy and Willie Hamilton Oldham. W of John F. Oldham. D of John Mathious and Margaret Jane Johnson Brantner. Have Obit. W of Johnnie B. Oldham. D of Hardy and Laura Madella Walker Jones. H of Willie A. Hamilton Oldham. W of John Young Oldham; M 10-21-1948, Franklin, Texas. W of Otis T. Oldham. Mother to Norman Durwood Oldham. W of Jeff Travis Penick. Have Obit. D of Horace Shay & Mabrey Elizabeth Petteway Brantner. H of Christine Monte Petteway. S of Peyton and Nancy Emma Pool Petteway. Have Obit. D of Clarence and Myrtle Swingler Petteway. S of Clarence and Myrtle Swingler Petteway. Served in the Korean War 1954-1956. H of Nora Jenkins Petteway. S of Mike and Mattie P. Webster Petteway. W of Clarence Petteway. M to Joel, Joan, and Janice. D of James Joshua and Georgia Virginia Ferrell Swingler. W of Peyton William Petteway, Sr. D of William and Pallie A. Handez Pool. W of Mabry H. Petteway; D of Allen W. and Mary Jane "Mollie" Ware Jenkins. H of Beatrice Shelton Petteway. S of Peyton William and Nancy Emma Pool Petteway, Sr. Have Obit. H of Sarah Sweat Pinson; F to Lee Pinson. W of William Henry Pool. Daughter of William Bateman and Martha Ann Hamilton Ware. H of Lillie Alice Ware Pool. W of Vincent R. Powell; Mother to Mary Powell Clark and Shirley Powell Green. H of Estelle Mitchell Rogers. Have Obit. S of Judge Conger and Elizabeth Balsora Vernon Rogers. Sam was a Judge in Robertson county. S of Judge Conger and Elizabeth Balsora "Ballie" Vernon Rogers. 2nd. W of Tom Lee Sanders. M 8-16-1938. D of Ervin and Ellen Pardon Webb. S of Joe and Edna Cable Schedule. W of James Gordon Scott, Sr.
D of Paschel E. and Frances Evans Smith. Never married. W of Paschel Edgar Smith. D of David and Miss Wiley Bryant Evans. H of Frances Evans Smith. S of Robert Lee and Mellissa Ann Walker Stanford. H of Ruby G. Smith Stanford; S of Robert Lee and Melissa Ann Walker Stanford. Have Obit. W of Robert L. "Bob" Stanford; M 1-18-1920. D of Pascel E. and Frances Evans Smith. Have Obit. W of Frank F. Stewart. D of Frederick Marshall and Josephine Andrus Jones. H of Annie Swingler. S of William and Laura West Swingler. W of James Joshua Swingler. D of Ed and Miss (?) Chambers Ferrell. H of Willie Mae Comer Swingler. S of James Joshua and Georgia Ferrell Swingler. W of Jay Lee Swingler. D of John T. and Susan L. Brantner Comer. W of Cecil Marvin Swingler. D of Peyton W. and Nancy Emma Pool Petteway. Have Funeral Notice. W of Cannon Taite. D of David P. and Martha Brooks Keeling. H of Sallie Alta Chase Taite. S of Rosewell E. and Minnie Mozell Cook Taite. H of Alpha E. Keeling Taite. S of Rosewell E. and Minnie Mozell Cook Taite. H of Mattie Oma Taylor Taite; M 10-21-1936; S of Benjamin F. and Sallie Alta Chase Taite. H of Mattie Alma Harris Taite. Married 5-4-1934. W of Marvin Taite. D of Joe and Bobby Harris. W of Benjamin Franklin Taite. D of William E. and Mary Elizabeth Allen Chase. W of Moria Dale "Slats" Taylor. D of Sherley Dexter and Wilson Clyde Rice Creel. W of Andrew J. Thomas. Daughter of Jesse Johnson. W of Alvin Tillman. D of George and Emma Oldham Hand. S of Morris Golden and Mary Lillian Brantner Tinsley. Have Obit. H of Sammie Lavoyce Oates Tinsley; S of Morris and Mary Lillian Brantner Tinsley; great-grandson of Rev. Alex E. and Ida Mae Joyce Jones. W of Morris Golden Tinsley. D of Horace Shay and Mabrey Elizabeth Petteway Brantner. Have Obit. H of Mary Lillian Brantner Tinsley; S of Joe and Rena Jones Tinsley. Grandson of Rev. Alex E. and Ida Mae Joyce Jones. H of Jane Catherine Harwell Walker. S of James and Elizabeth Lewis Walker. Born in New Hanover, N.C. Have Confederate Pension Application. C of Horace G. Walker and Mollie B. Oldham; buried w/Mollie. Walker Jane Catherine Harwell NA NA Buried with grandson Harmon Jones second stone. See story,, Harmon Jones. W of Calton Walker. 1st w Horace G. Walker (s of Calton & Jane Harwell Walker), d Ben & Emily Durham Oldam, died giving birth to infant buried with her. W of J. Frankie Wallace; Have Obit; D of Charles "Ed" and Louvenia "Venia" Brantner Oldham. Step-daughter to Rev. Alex E. Jones. H of Artellia Oldham Wallace. S of Will and Pennora "Nora" Faulk Hillary Wallace. W of William Edward Wallace; M 11-2-1935. D of Ben L. and Della Mae Connell Johnson. Have Obit. H of Mary Louise Johnson Wallace. S of John Franklin and Artellia Oldham Wallace. Have Obit. S of Willie and Clara Belle Garner Ware; Grandson to William Bateman and Martha Ann Hamilton Ware. S of William James and Mary Isabelle Dibble ware. Grandson to William Bateman and Martha Ann Hamilton Ware. H of Mary Isabelle Dibble Ware. S of William Bateman and Martha Ann Hamilton Ware. H of Mary Ann Waston: Have Obit. S of Nathaniel and Bessie Sims Watson. W of Thomas M. Watson. Married 11-1-1917 in Robertson County, Texas. D of Pat and Miss (?) Baker Sims. H of Bessie J. Moreaux Watson; M 7-4-1998, Burleson County, Texas. S of Nathaniel and Bessie Sims Watson. H of Bessie Watson. S of William Tolbert & Elizabeth Merryman Watson. H of Hattie B. Watson. Married 11-1-1917 in Robertson County, Texas. S of William and Lucy Elizabeth "Lizzie" Merryman Watson. W of Ernest Dean White; D of Lawson and Katie Ford Leamon. M 4-5-1937 in Falls County, Texas. W of Robert Leamon White. M 6-11-1977, Robertson County, Texas. D of Gaylon and Dorothy Elizabeth Allen Napper. Have Obit. H of Mary Beth McKinney White; M 5-17-1951. S of Robert H. and Minnie Etta Brantner White. Have obit. W of Ronald Leonard White. M 4-5-1969 in Houston, Texas. D of Loran Lee and Helen Esther Billig Morgan. W of 1. Herman Lee White. 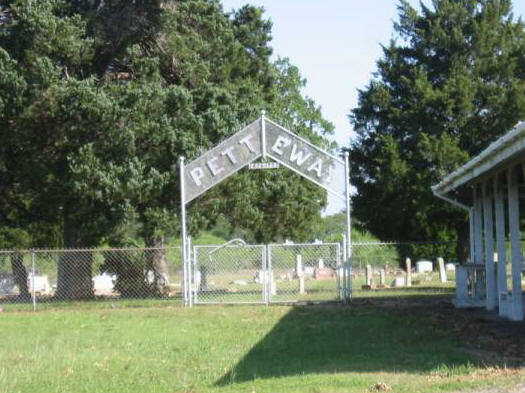 Herman is buried at the Petteway Cemetery. 2. John Sterling. John is buried at the Mexia Cemetery. D of Mack and Eula Forson McKinney. H of Annie Waldeen Jones. S of R.H. and Minnie Etta Brantner White Jones. H of Jeannine Morgan White. S of R.H. Leonard and Annie Waldeen Jones White. S of R.H. Leonard and Minnie E. Brantner White Jones. S of N.J. and Margaret Elizabeth Whitley. W of Oddie E. Wiley. M 8-17-1932. D of Burris Gray and Laura Hobbs Gray. Have Obit. H of Ina Mystic Gray. S of John and Julia Blount Wiley. Have Obit; Doesn't give date of death. W of A.L. Williams. D of David and Mary Jane Barclay. S of Q.T. and Geneva Wallace Williams. Have obit. W of Alexander Colon Worley. Sister to Andrew J. Garner. Married 11-9-1876, robertson County, Texas. Have Confederate Pension Application. Sof Lucas and Mary Emaline Whitehead Morehead Yarber. Mary is not buried at Petteway. Lucas had a son named George Lee Yarber who changed the spelling of the name from Yarber to Yarbrough.